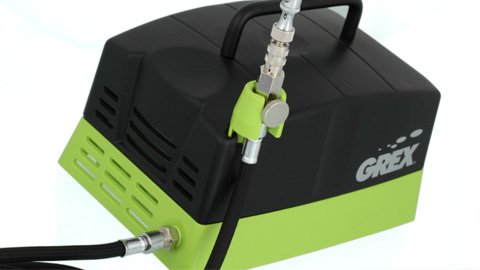 The Grex Aeris I is an intelligently designed and well built ultra-portable airbrush air compressor specifically for low pressure applications such as beauty makeup, cake and food decorating. Despite its "hobby-like" demeanor, its lightweight high impact ABS housing protects the medical-grade motor and oiless piston pump that generates the most consistent and high operating pressure air flow in its class. And with it’s long list of features and included accessories that matter, its practically everything you need. Just add airbrush.